Samsung may put off construction of a new fabrication facility, according to a new rumor, because it is expected to lose some future chip orders from Apple. Hit-or-miss technology industry publication DigiTimes, which is known for having a spotty track record with respect to anonymous sources, reported this week that Samsung Electronics is "likely" to delay construction of a new logic fabrication facility known as Line-17. The primary concern for Samsung is said to be the "possibility of losing a portion of orders for Apple's next-generation application chips." Samsung plans to build the new semiconductor plant in Hwaseong, a city in the Gyeonggi Province of South Korea. Volume production has been planned to begin in the first quarter of 2014. 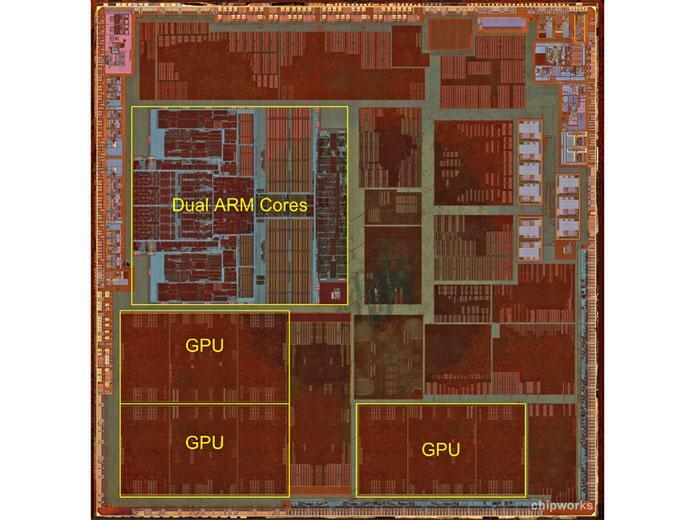 "However, Samsung will no longer be the sole supplier of Apple-designed chips that power the iPhone and iPad devices, the sources indicated," the report states. "The anticipated drop in orders from Apple has prompted Samsung to consider slowing the pace of its logic-IC capacity expansion." Apple has long rumored to be pursuing a chipmaking partnership with Taiwan Semiconductor Manufacturing Co., though Samsung remains the sole supplier of Apple's custom chips found in the iPhone and iPad. One report from last month claimed that TSMC could begin building quad-core 20-nanometer chips for Apple as soon as late 2013. The growing reports could represent a concern on the part of Samsung that its chipmaking business will not grow as much as expected, with the potential loss of Apple as a major customer. Apple was rumored earlier this year to have made an offer for around $1 billion that would have made TSMC a dedicated chip producer to Apple alone. The offer was allegedly rejected by TSMC, as the company was said to be interested in staying involved in the booming broader smartphone market.